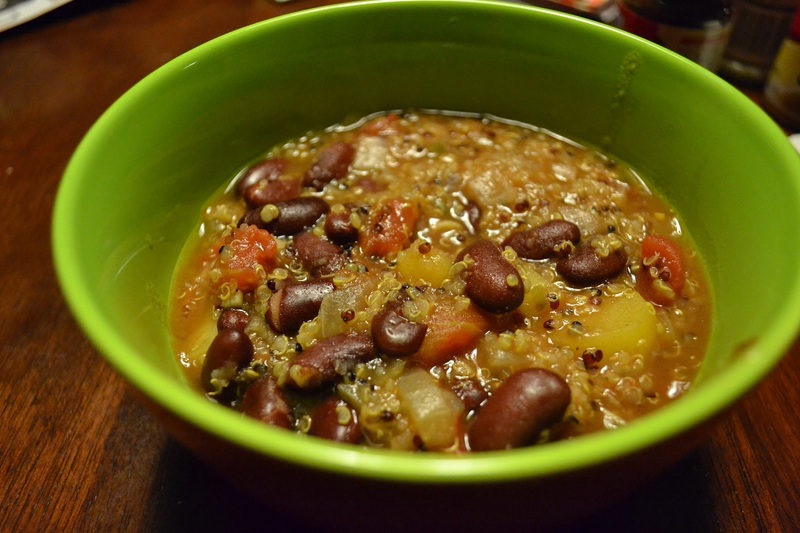 While I am making another batch of the Sweet Potato Tomatillo Soup https://ourfunstuff.wordpress.com/2014/11/02/sweet-potato-tomatillo-soup/, this time to freeze it, I am trying to catch-up with posting recipes. 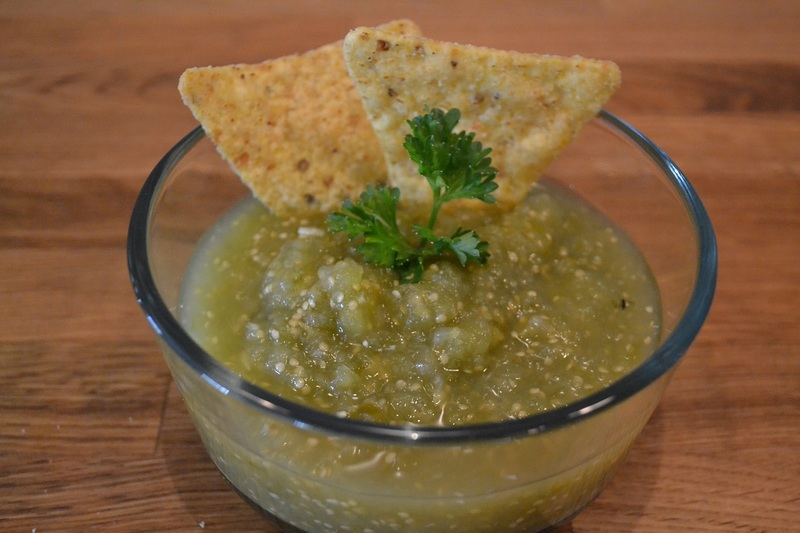 Here is another tomatillo inspired recipe: Tomatillo Salsa. Not only had I never made salsa before, I also had never made Tomatillo Salsa before. 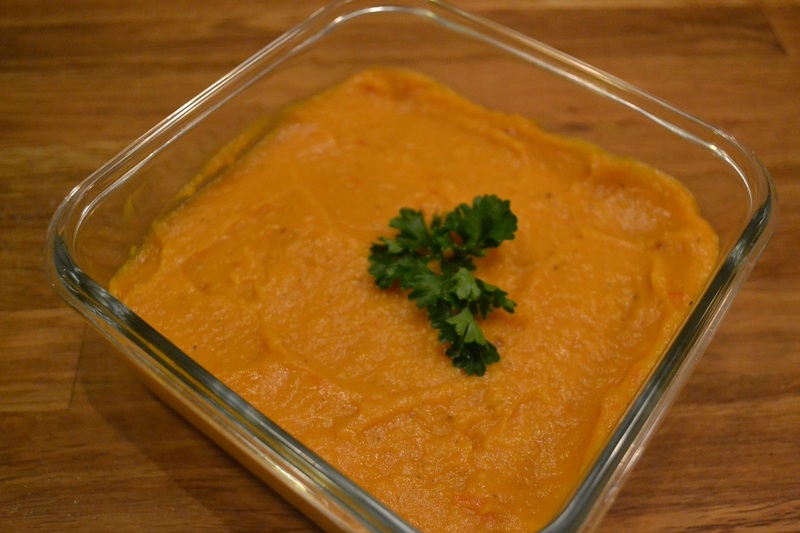 The recipe is super-simple to make. We took some to a Halloween Potluck and everybody liked it. Coarsely purée tomatillos, jalapeno pepper, onion, garlic, and water in a blender. Transfer to a large heavy skillet, this is when I added the lemon juice (as I used a lemon cube). Simmer the mixture, stirring occasionally, until slightly thickened, about 15 minutes. Transfer to a bowl and cool to room temperature and salt to taste. Make sure to chill and then enjoy with organic tortilla chips. Note: We also jarred some of the hot salsa into canning jars for later use, see steps on how to can salsa below. Just place everything, except spices in the blender. Simmer tomatillo mixture until cooked down to desired thickness. Categories: Appetizers & Snacks, In The Kitchen | Tags: Lemon juice, onion, tomatillos | Permalink.